Here you can make a video or audio (you get to choose) where you read other peoples writing. Others will view them if they want a good narrative, and if they're too lazy to read. The audiobook must be the same rating as the writing piece. When you make an audiobook, you have to read the title and who made it before you read the story. 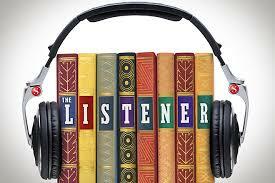 If you read somthing that isn't in the orginal piece of writing, then your audiobook will be removed.